If you are looking for something other than candy to fill your plastic Easter eggs this year, here are some fun options. Some of these items may pose as a choking hazard. Please keep in mind, your child’s age. 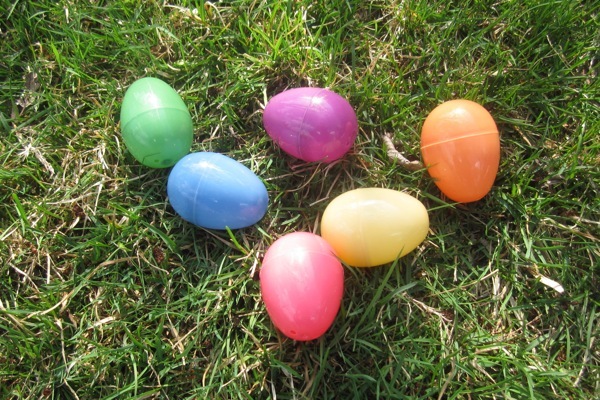 Remember to wash the plastic eggs with hot soapy water and let air-dry before filling them with food items. Plastic eggs are available at many stores such as Walmart, Party City, and dollar stores. I bought a pack of 24 small eggs for $2 from the Real Canadian Superstore. Not all the items on the above list fit in those ones. Some other fun items to include in your Easter baskets are: a skipping rope, a pair of rainboots, sidewalk chalk, a big container of bubbles, bubble wands, colouring book, and a pack of crayons.